Last week I took a short cut to Paris. It wasn’t necessary to board a plane and make the seven hour journey. I just needed to take the subway to La Gamelle on the Bowery. La Gamelle, the new french bistro located below Houston Street, is just like dining in your favorite Parisienne bistro. The space radiates comfort and warmth. The decor is authentic and charming. It was 7pm and La Gamelle had not yet started to percolate. We were seated at table in the middle of the room. The restaurant has an ample bar area and a cozy dining space. 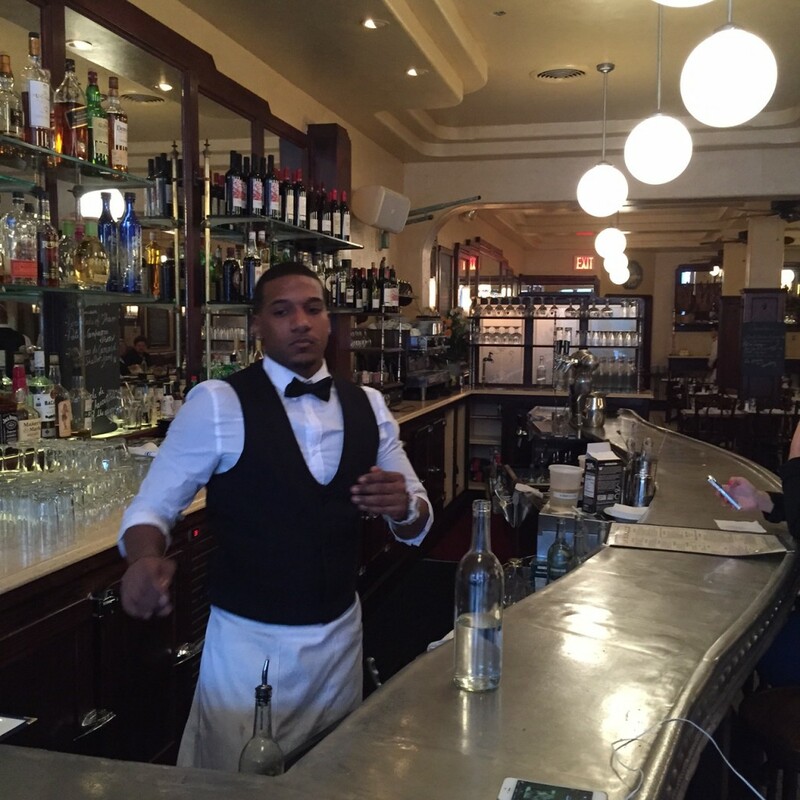 Our exceptional waiter, Sal, was not french, but that did not take away from his knowledge of the cuisine. 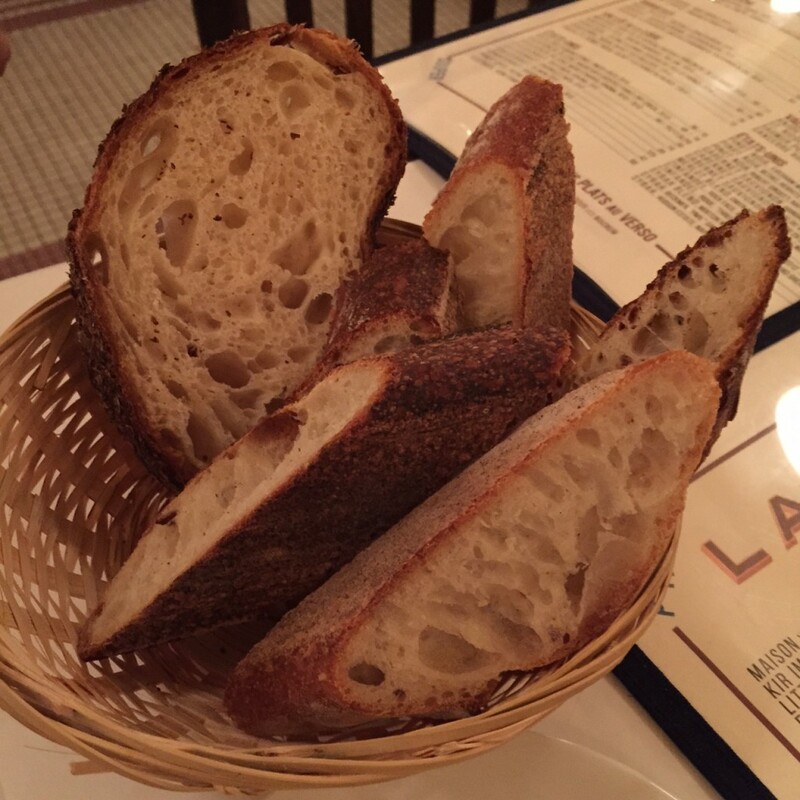 Freshly baked Sullivan Street bread was immediately placed on the table with rich, creamy butter. I often judge a place by their bread. This was already trending in a positive manner. 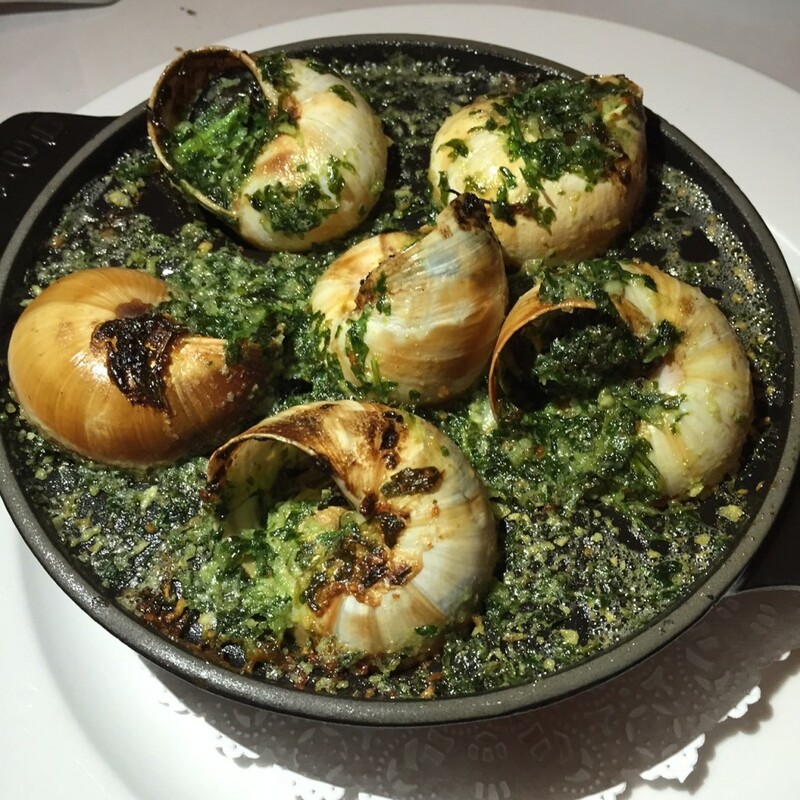 Escargot, the food of love for my husband and me, jumped off the menu. We had escargot on our first date over 35 years ago. We immediately placed an order for half a dozen which, after that the first buttery escargot was consumed, needed to be increased ($12/22). 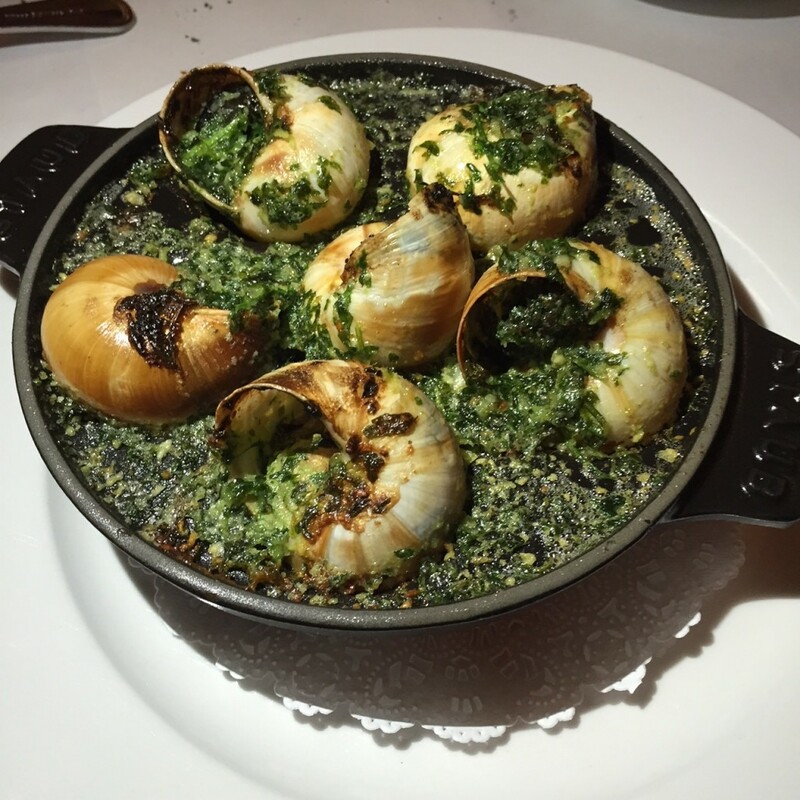 The escargots were tender and delicious. The bread performed a fab assist as mop up for all the amazing juices. Who knew parsley could taste so good. The salade verte with an herb vinaigrette ($9) was wonderful. 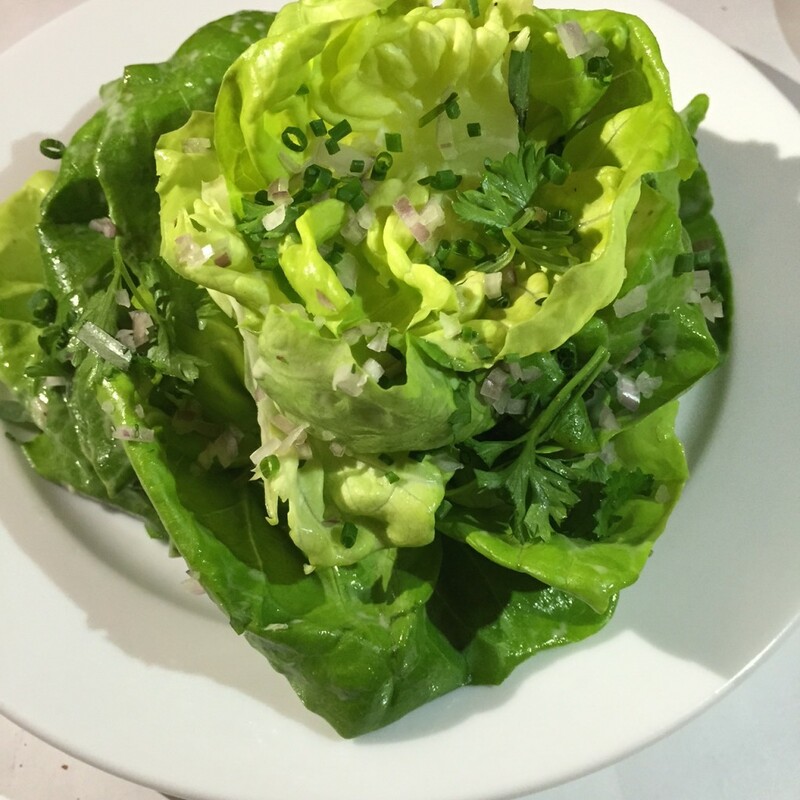 Crispy, fresh lettuce lightly dressed just like the well dressed Parisienne. 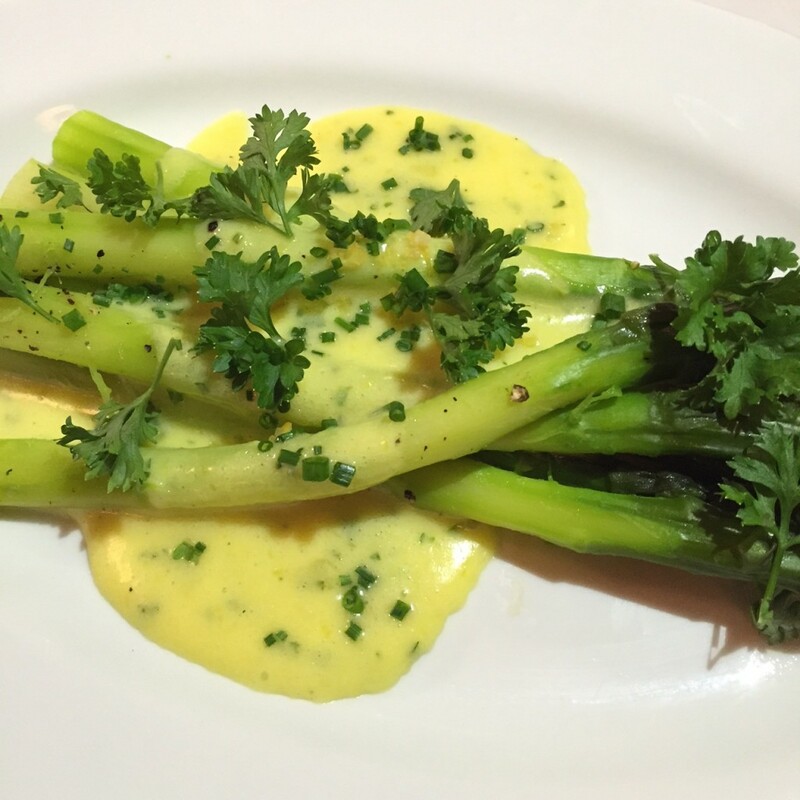 Next up were the asparagus mousseline in a hollandaise sauce ($9). They were prepared to perfection and the sauce was light and delicious. 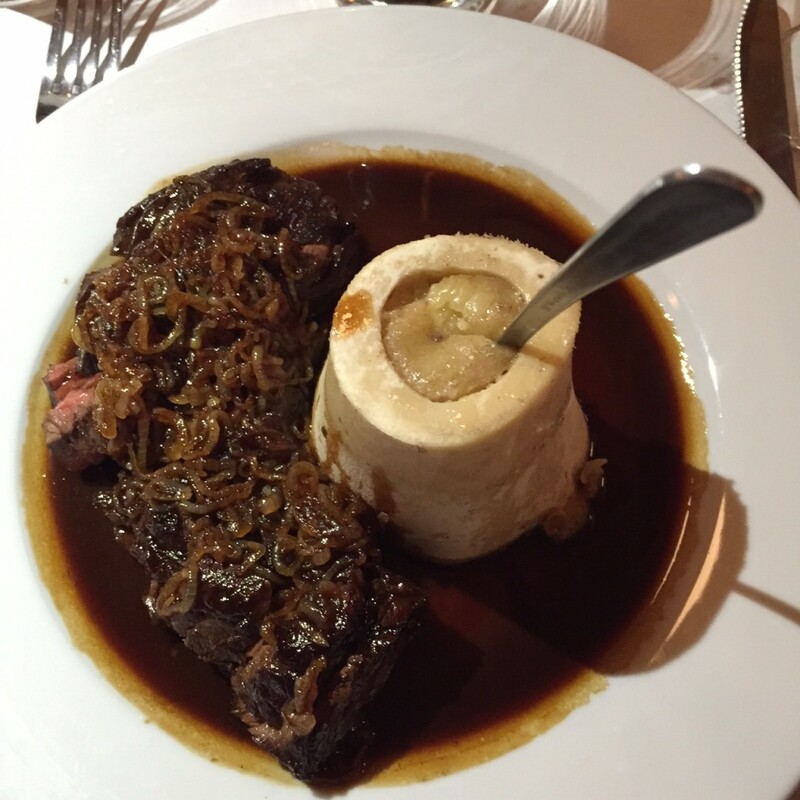 The hanger steak with shallots and bone marrow in the most divine bordelaise sauce was amazing and accompanied by very frenchy, crispy french fries…on my top 5 list ($28). 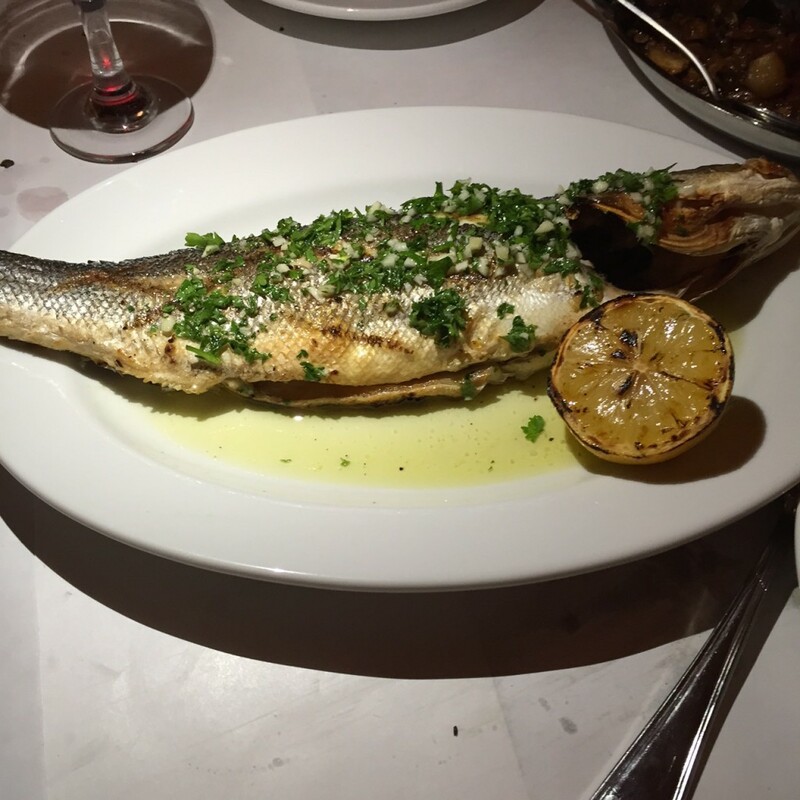 David ordered the whole grilled Branzino Citronette with a wonderful ratatouille ($28)…sweet, tender, flavorful. The Bordeaux red blend, Leo de la Gaffeliere 2011 From St. Emilion was fabulous ($49). The wines are predominantly French and American. We felt the need to sample dessert but only for the review. The floating island of meringue, creme anglaise and caramel was worth the caloric sacrifice ($9). There is no photo op because I was discussing wines with our table mates while my dining partners dug in without me. 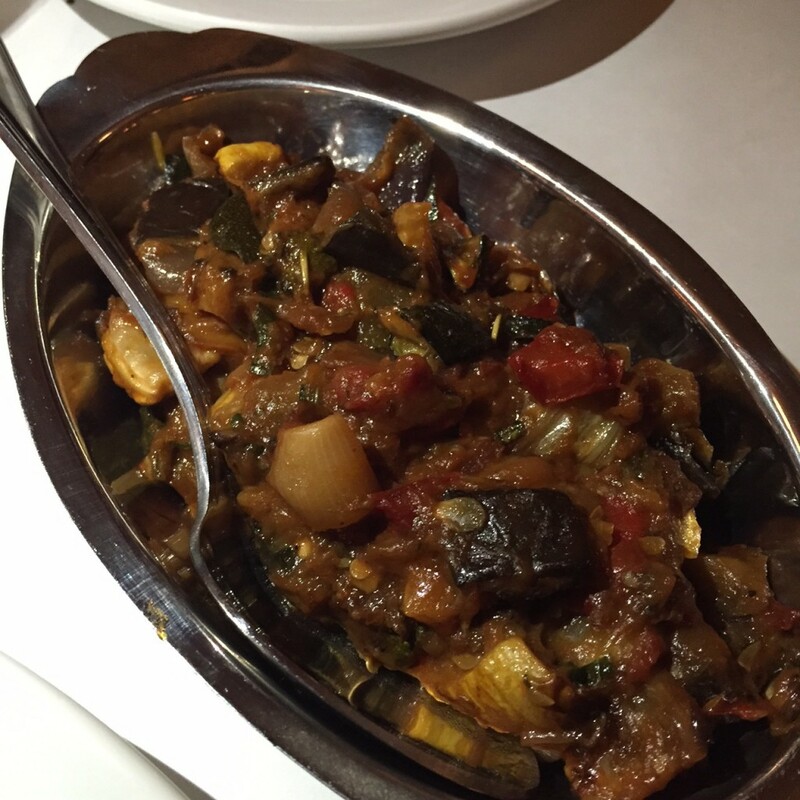 Other highlighted delicacies offered are the les charcuteries, demi poulet roti and moules. Mathieu Palombino, known for his Neapolitan pizza empire, Motorino. 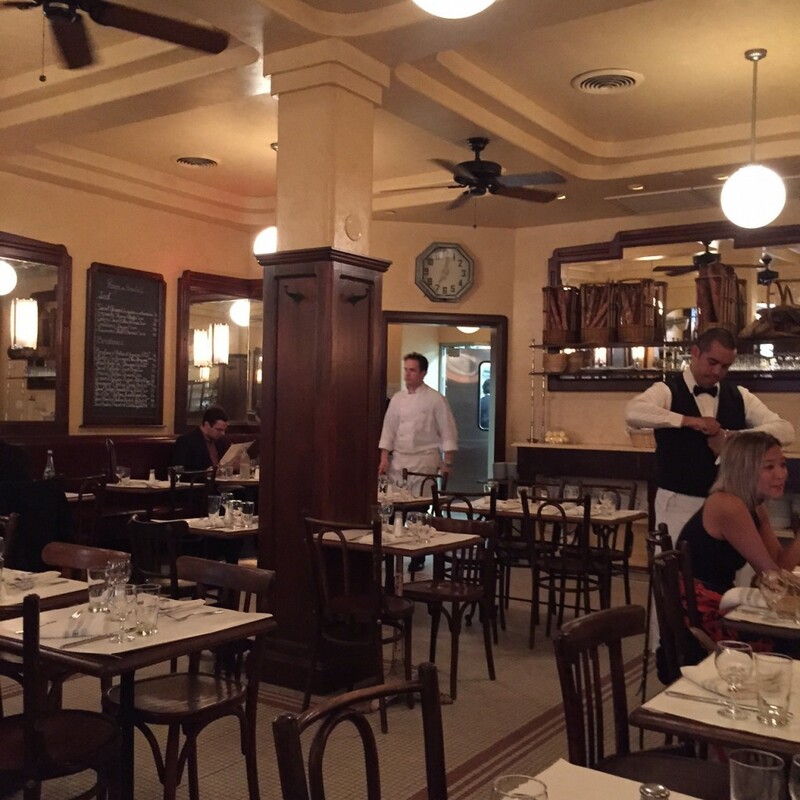 opened La Gamelle in the space that housed his retro-American Bowery Diner and was the site of Chez Jef. 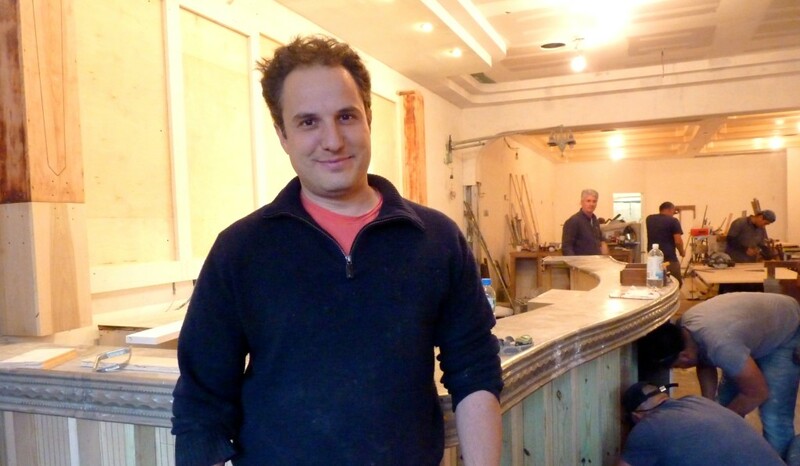 Palombino ran the pop-up for several months before commencing renovations last July. 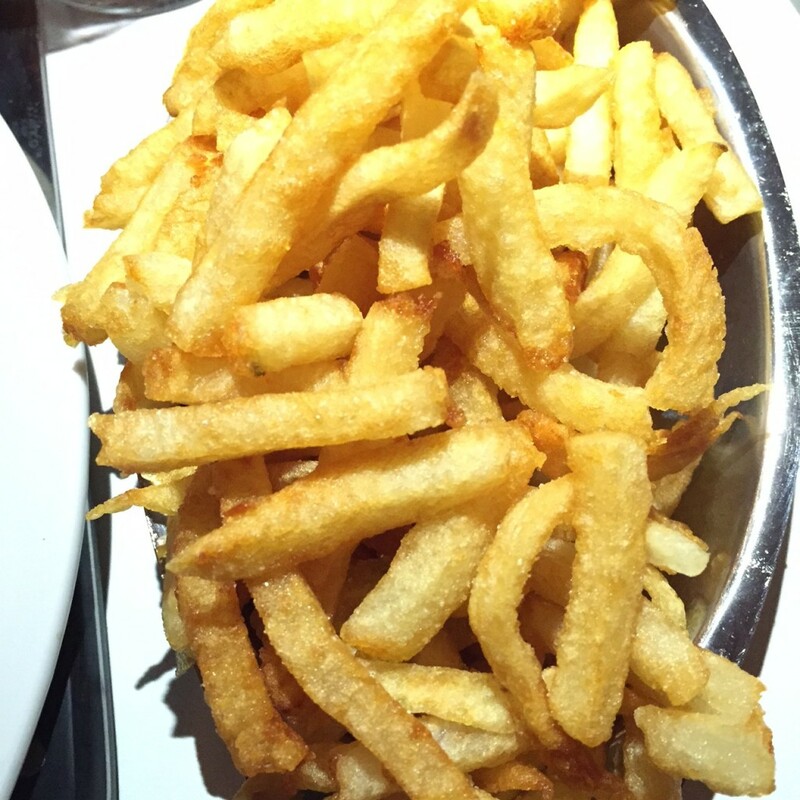 La Gamelle is a must if you want to be french kissed.